I don't just review cream teas, I like to offer my opinion about other cream-tea-related stuff too! 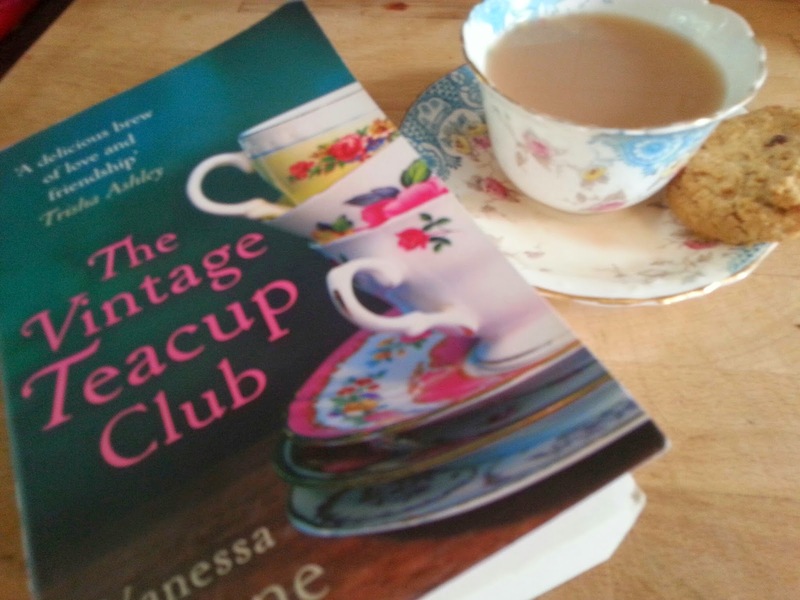 As a lover of eclectic vintage crockery, I was intrigued by the title and cover of The Vintage Teacup Club, Vanessa Greene’s debut novel. My husband and I were actually given the book as a wedding present, as our wedding breakfast was – you’ve guessed it – an afternoon tea, complete with vintage crockery. Normally, I tend to avoid this sort of mass-produced, written-to-a-formula, “female interest” literature, but given the title and my obsession with vintage teas, I thought I’d give it a go. And I was really rather pleasantly surprised at the story and characters. The women were well-rounded- so to speak – and believable. I felt the plot was a little predictable – I could tell the important men in the story from their first mention, although it was clear we were not supposed to recognise their potential significance. The imagery and narrative were engaging, and I had a clear picture of these characters and their homes in my mind’s eye. I did find the adjectives a little clunky though – sometimes it seemed as though the descriptive prose was a forced at times. The theme of wedding decoration and vintage collectables kept me going, whereas in a novel with a different flavour I might have lost interest. But what was most captivating was the personal accounts and real emotion that soaked the pages. I found myself welling up on several occasions while reading it – sometimes embarrassing when on the train – and I felt that the characters’ individual situations were each portrayed as though Vanessa had lived them personally. The pages were also peppered with little details that only true followers of the vintage teacup craze would appreciate, and I found that rewarding - like little sweets along the way. And, like a good cup of tea and a biscuit, it made me feel satisfied and happy when I'd finished it.